Anuj on the Wharton campus. Fall 2005. 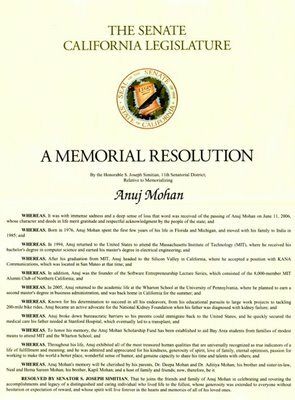 As mentioned in an earlier post, The Wharton School will be honoring Anuj at a memorial service once the school year starts. The service will be held at a non-demoninational facility on the University of Pennsylvania campus. Everyone is invited to join in remembering Anuj's amazing life. To say that Anuj was an avid bicyclist would certainly be an understatement. As a young man, he loved to ride his road bike on routes all over the San Francisco Bay Area. However his love of cycling began much earlier than that - on the open country roads outside of Ann Arbor, Michigan. Most of these are fully developed now - often leading to the newest strip mall - but back in the late 70s and early 80s many of them were still gravel and dirt. Anuj on his tricycle. Summer 1979. This is where Anuj graduated from his little red tricycle to his beloved yellow bike. It is where he quickly and bravely shed his training wheels with Dad cheering him on all the way. When Anuj would fall he never really cried. Just like everything he did later in life, Anuj just got up, dusted himself off, and got back on the bike to try again. Pretty soon he was cruising up and down the long driveway of his family's home. He and Neal would spend hours doing wheelies and wipe-outs on that driveway and the dirt road just beyond it. Sometimes, when Mom wasn't looking, they would use the landscaping in their frontyard as readymade ramps launching their bikes into the air. After a while, Anuj joined his father and older brother on summer evening rides around the neighborhood. Since he was the little guy, he had to peddle doubly hard to keep pace but somehow Anuj always found a way to do it. Naturally curious, he loved exploring his surroundings on two wheels. Eventually he would graduate to a BMX dirt bike, and later to a Raleigh 12-speed, but it was with the red tricycle and yellow bike that his lifelong passion began. 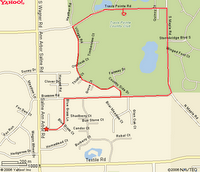 The bike route Anuj would take with Neal and Dad as a child in Saline, Michigan. Click on map for a larger version. It is back to school season for students across the country. Last year around this time, Anuj also returned to the academic life after six years in the professional world. Though he insisted it was no big deal, Anuj was looking forward to going to The Wharton School for his MBA. As mentioned before, he was very interested in business and entrepreneurship. Having the chance to explore these fields for two years with some of the best faculty and students in the world was an exciting proposition. Getting his parents' blessings and together after a farewell lunch. Summer 2005. 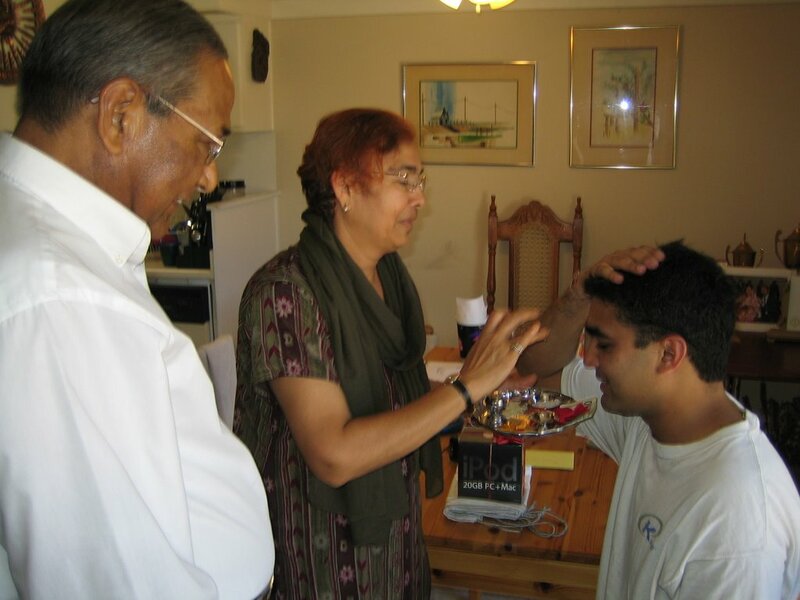 On the day he flew out, Anuj stopped by his parents' place to get their blessings. The rest of the family and Flo joined them there as well. Mom and Dad surprised him with an iPod since they knew Anuj loved to listen to music especially while studying (he was the consummate multi-tasker). Afterwards, everybody went to the Peninsula Creamery in Palo Alto for a farewell lunch. It was a typically beautiful Northern California summer day. The discussion centered around classes he was planning on taking, whether he had actually finished packing, and when he was going to come back to visit. At lunch he wrote his new Philadelphia address on a paper napkin. 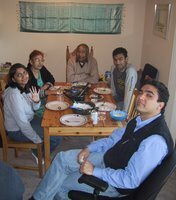 Upon finishing the meal, Anuj exchanged hugs with his parents, brothers and Hema. He took the red eye to the east coast that evening. In the few months that he owned it, Anuj made full use of that iPod. Whenever he would visit, he made sure to bring it with him. He often relaxed by reading a book and listening to an eclectic set of tunes. A year later, his iPod is full of beautiful music and Mom still has that napkin with his address. On one occasion, we drove up to Tahoe together, leaving a day later than the larger group due to conflicts on both of our schedules. I picked him up in San Leandro and unbelievably blew a tire pulling out of the parking space. My favor to him of a 4-hour ride to the mountains turned into his supporting me through a 12-hour ordeal of finding a place to get it fixed, arguing with a dealer about Saturday work schedules, getting everything taken care of and finally making it up to the mountains, well later than the rest of the group. But, as ever, he was cheerful and upbeat, and in the end, what could have been a frustrating occasion became a great opportunity to spend plenty of time together - the sort of opportunity people never seem to value as much as they should. There were other road trips too, back in the day. North to Montreal, South to DC. The sort of old college trips whose pictures never fail to shock with the impression of youth staring back through the frame. Great, great fun. Anuj stood with me at my wedding, something I'll obviously always remember. Weddings are great for memories because they generate plenty of pictures, but for the bride and groom, there's far too little time to spread amongst everyone there. For that reason it's the moments before the wedding itself, having the chance to take a bit of quiet time just with Anuj and the other groomsmen, that I remember the most. Fleeting moments, but memorable without question. ... I started flipping through old photos of events, and time after time after time, there he is, happy, healthy and well. Usually with his eyes closed, as anyone who's tried to take a picture of him can attest, but rarely without a truly genuine smile." While Anuj loved to cook, he also enjoyed discovering great restaurants. His friends and family could count on him for recommending a little known eatery that had a must-try dish or a unique style of preparing a particular cuisine. His tastes in dining establishments were as eclectic as his preferences in music or movies (which of course we hope to write about in subsequent posts). 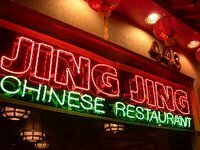 Among Chinese restaurants, one of his favorites was a place called Jing Jing located in downtown Palo Alto. In an area with a plethora of such establishments, Jing Jing has long stood out for its unique style of spicy Szechuan and Hunan cooking. With its low-key and unassuming decor, the emphasis is on the food. 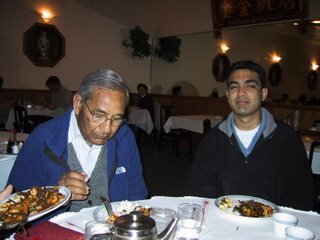 Anuj's favorite dish was the Hunan lamb. He made sure he picked it every time he went there. Celebrating his birthday with family and friends at Jing Jing. Spring 2004. To see the Citysearch profile of Jing Jing, click here. At home with family in Mountain View. Winter 2004. Almost exactly four years ago, in summer 2002, Neal received an excited call from Anuj. 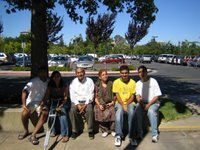 Their parents and Kapil were moving back to the US after many years in India and Anuj had taken it upon himself to find them a place to live. Anuj had spent the last couple of weekends scouring towns south of San Francisco for the perfect location. When he thought he had found it, he decided to discuss it with his brother who was living in New York at the time. Anuj had prepared a mental checklist of criteria that the apartment had to meet. The place in Mountain View he narrowed in on was on the first floor making access less strenuous for his aging parents. It was situated in a safe, quiet, leafy neighborhood that smelled of tropical flowers like India and where his parents could go for walks any time of day. He felt that this would smooth their transition into the new community. It had a small garden and several public outdoor areas where Mom and Dad could spend time with friends. Anuj also made sure that it was within walking distance to shopping, including groceries and the local drug store. Finally, his find was near the hospital, easing the burden on his parents while addressing Dad's health issues. In short, it was ideal. While Anuj called to get a second opinion, Neal knew that it was unnecessary. This was because Anuj went about this decision as he had every other significant one in his life. He had a knack for simplifying any problem by dissecting it to the basics in a meticulous and carefully reasoned manner. 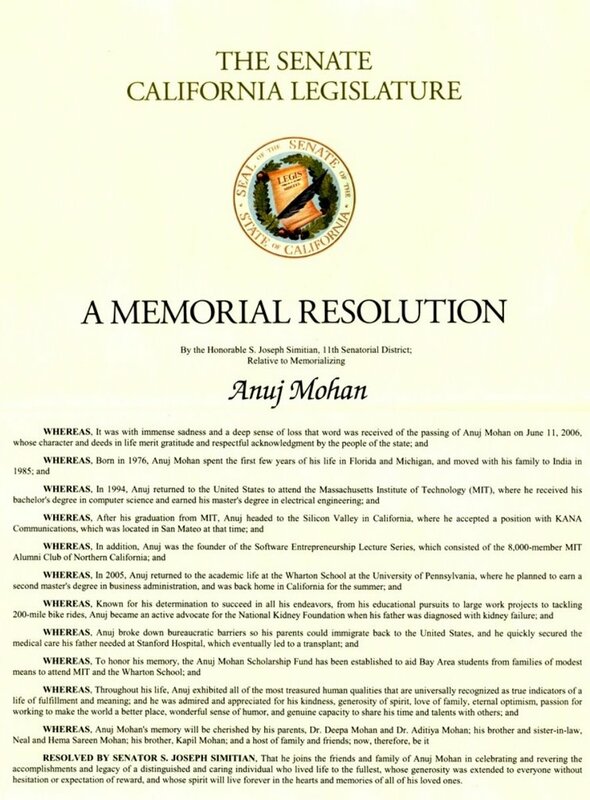 When acting on behalf of others, Anuj combined this approach with his usual unparalleled thoughtfulness and genuine concern for his friends' or family's wellbeing. After deciding that this was the right location, Anuj moved fast and ensured that the apartment would be ready for his parents to move into a few weeks later. When he showed them the new place, he of course did not get into any of the details of his thorough search. He simply said, "welcome home." As previous posts make clear, The Wharton School has deeply felt the loss of Anuj, especially since it was the community he was part of when he passed. We are touched by, and grateful for, the countless emails and messages that have highlighted his friendships and clearly articulated his range of contributions. Anuj cherished the relationships he formed and genuinely enjoyed every aspect of his year there. While Anuj's exploits and contributions in high school, college and graduate school may be familiar to many of his friends and family, very few know where his educational journey began. 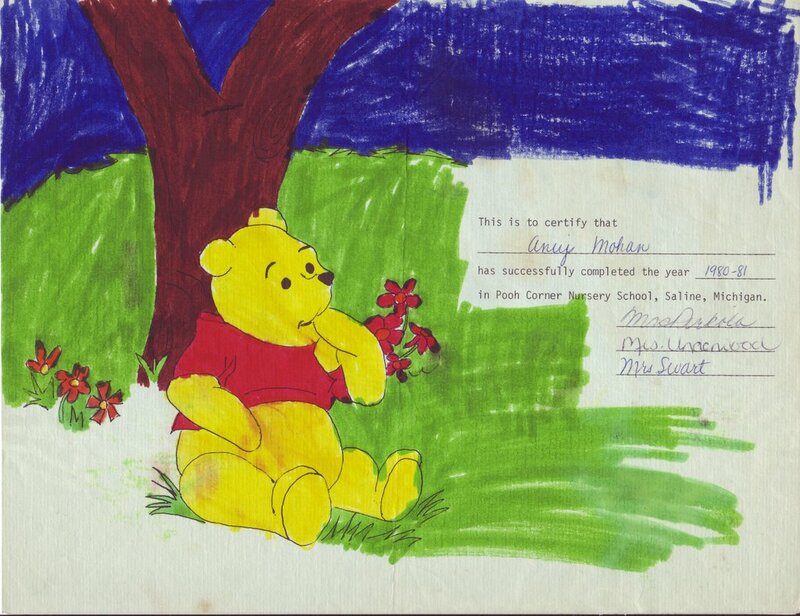 Anuj's first school was a very special place called Pooh Corner in Saline, Michigan. It is where he went to preschool as a carefree four year-old. Each Pooh Corner class consists of two teachers and 20 kids. One of its neatest attributes is that it also includes Saline High School child care class students looking for lab school experience. 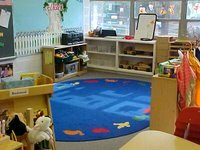 Thus the children are surrounded by adults and older kids who are completely focused on their cognitive, physical, and social development in a nurturing, progressive environment. In fact, children (as well as their parents) were interviewed before they were selected into the program. 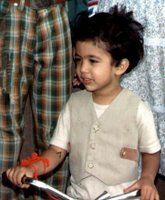 Those who knew him later in life will not be surprised to learn that Anuj was a brave and level-headed child, even when he was very young. Unlike most other children who cried on being separated from their parents, Anuj took his new school in stride. On the first day, he walked right into class and quickly made friends with his teachers and fellow classmates. He was pretty open to sharing from the start so found himself with many playmates. Anuj would spend three mornings a week at Pooh Corner staying very busy with things like block playing, art and easel time, and other group activities. He seemed to have fun and, a precursor to later years, his curiosity was insatiable. When he finished his year in preschool, Anuj received a graduation diploma which he promptly colored in. Mom and Dad were of course very proud which is why they still have that piece of paper, over 25 years later. To his family, it is as precious as any degree from MIT or Wharton. Click here to learn more about Pooh Corner, part of the Saline Area School system. While in San Francisco, Anuj lived in Lower Pacific Heights. This is a charming neighborhood with classic Victorian architecture and numerous restaurants, cafes, bookstores, movie theaters, and parks. In fact many of these were within walking distance of his apartment. 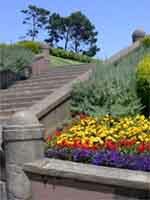 One of Anuj's favorite places to stroll to was Alta Plaza Park, located just a few blocks from where he lived. He enjoyed the fact that it was an inviting, quiet place to hang out with a friend as well as a great vantage point to take in stunning views of the city from both the north and south sides. 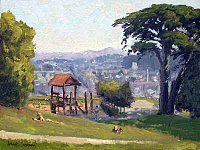 Alta Plaza was the perfect place to be on a sunny late summer weekend in San Francisco. To learn more about this friendly neighborhood park, please click here. The A.D.P. 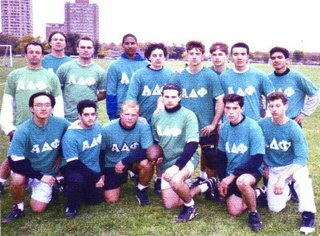 fraternity football team. Anuj is standing at the top, right hand corner. Fall 1995. While baseball was his favorite, Anuj enjoyed a wide variety of sports. Football was another game in which he let his natural athletic talent show. 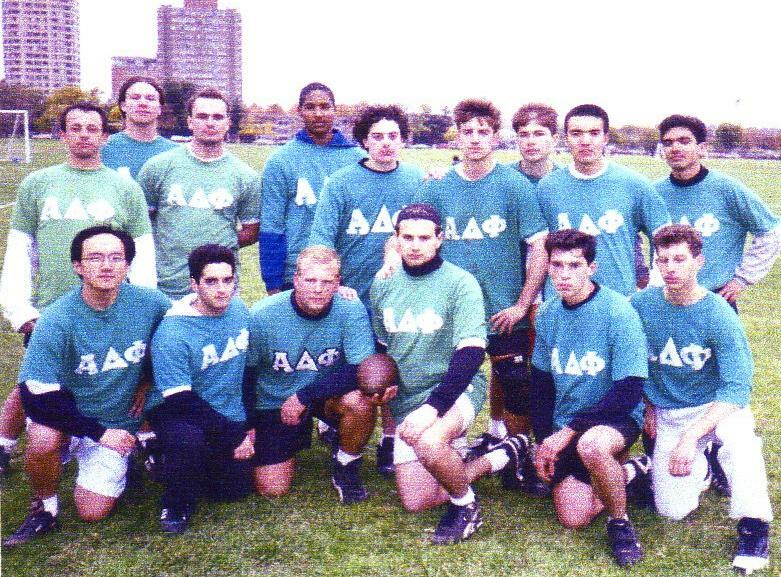 He played intra-mural flag football for his fraternity A.D.P. when he was in college. His usual position was wide-receiver. Once a matchup started, Anuj's usual laid-back demeanor could not hide his unrelenting competitive spirit. According to his teammates, Anuj was one of those athletes who was consistently sportsmanlike and gracious towards his competitors but also utterly focused on leading his team to victory. While on the A.D.P. team, he regularly found a way to win, enabling his team to finish with one of the best records in the league two years in a row. One of his football partners said: "the standard play was throw the ball up and let Anuj run under it. Nobody could catch him." "One of its Brightest Stars"
The Mountain View Voice, Anuj's hometown newspaper, published an article about his life and inspiration this week. It recounts his accomplishments and contributions as a resident of Mountain View as well as how his work will live on. Click here to see the web version of the story. When the page opens in your browser, scroll down to page 5 of 24. Anuj's story appears in its own box and continues on page 11. 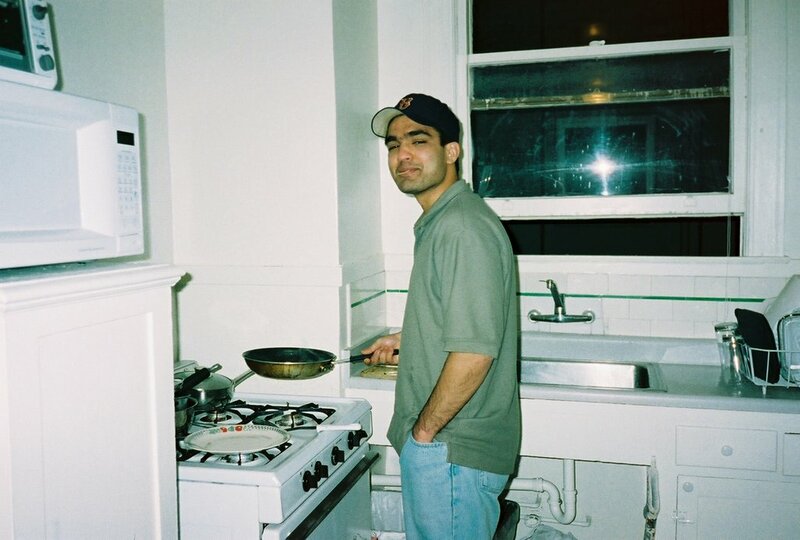 Anuj in the kitchen of his San Francisco apartment. Anuj loved to cook. His Thanksgiving meals, which he and Flo would prepare from scratch every year, were legendary. We will write more about them later. When it came to his creations, Anuj would try to be as geographically diverse as possible: Mexican to Indian, Italian to classic American, among many other cuisines. Some of the warmest memories that friends and family have of him are casual get-togethers where he fired up the barbecue grill or prepared something from a new recipe for his guests. Anuj was not afraid to experiment in the kitchen. In fact that is how he first cultivated his interest in cooking. One day, during a summer vacation in high school, Anuj picked up his mom's old 'The Joy of Cooking' recipe book and decided to make some things in the dessert section. Unfortunately the donuts turned out flat and the lemon tarts a little too tangy. But he didn't give up and after a few tries he got it right. Anuj quickly branched out from desserts, moved over to main courses, and never looked back. Many years later, in 2004, Anuj gave his mom the latest edition of 'The Joy of Cooking' as a Mother's Day gift. It was a small way to pay her back for developing a passion and skill that he would enjoy for the rest of his life. As mentioned in Part I, Anuj was proud of the Software Entrepreneurship Series, the lecture and panel program he established and led for years as part of the MIT Club. He orchestrated events covering a wide array of topics and trends in high-tech. They all had a common thread: building great companies in an incredibly dynamic industry. Anuj enjoyed meeting and bringing together brilliant people with similar interests and leading them in the creation of new insights. He said that he learned something new in each of these sessions. It was this program, more than anything else, that made Anuj so well regarded around Silicon Valley. 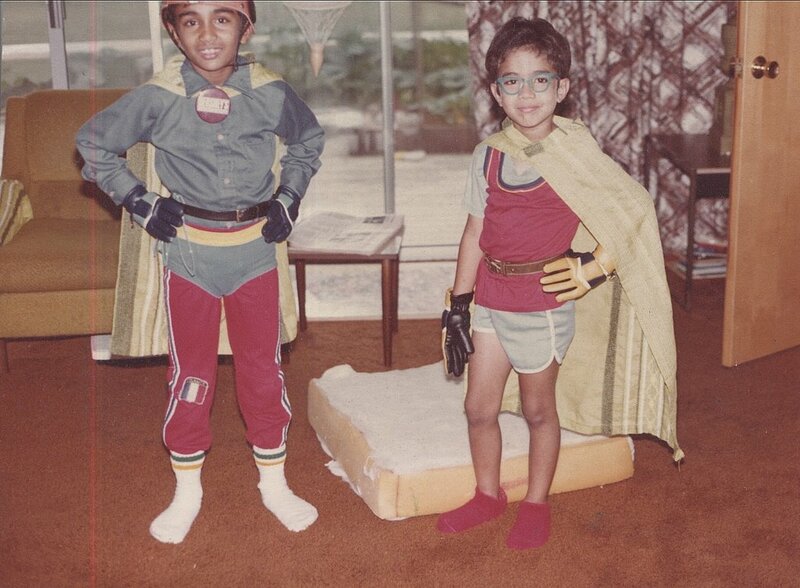 When Neal was in business school, his classmates would often ask him if he was Anuj's brother. When he said yes, they would describe how impressed they were with a recent event that Anuj organized. Upon Anuj's passing, we found that this opinion was shared by his fellow MIT alums as well who wrote in to share their thoughts. Many of them did not know Anuj personally but benefited from his leadership. "We were all saddened to hear of the untimely death of Anuj. I had attended a few of the excellent Software Entrepreneurship Lecture Series and his leadership will be missed." "Although I only interacted with Anuj as a volunteer with the MIT Club of Northern California, I was touched by his good nature and positive attitude from the moment I met him as a new recruit to the club, and through his years of volunteer service. It was a joy to work with him ... from fresh volunteer to the Director of our Software Entrepreneurship Series." "I would like to express my sympathy and condolences to you. I have enjoyed attending the MIT Software Entrepreneurship programs that Anuj helped put on and champion." 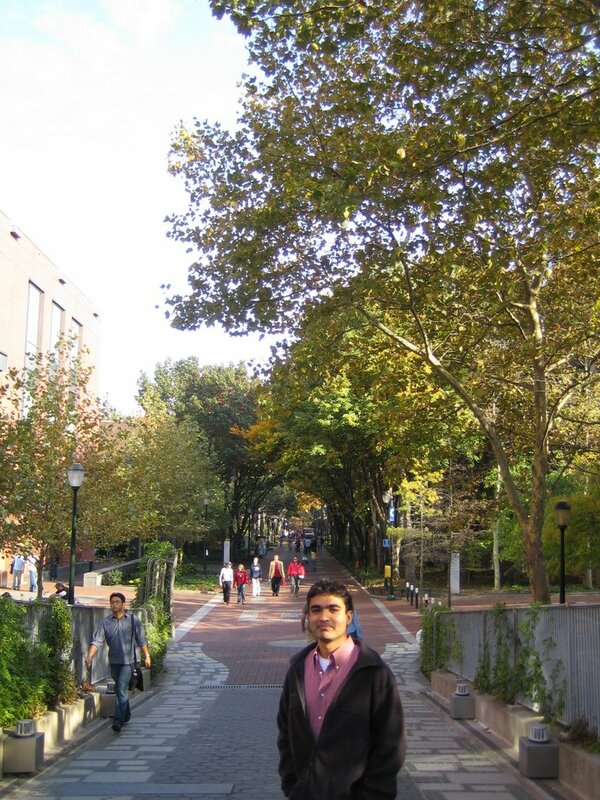 In addition to his deep interest in technology, Anuj was passionate about entrepreneurship. He had his own little startup at an early age, made entrepreneurship an integral part of his career, and played a leadership role in cultivating interest and knowledge about building companies while at school. One of the endeavors Anuj was most proud of was the Software Entrepreneurship Series of the 8000-member MIT Club of Northern California. He was on the leadership team of the alumni association and focused on building technology-related programs for its members. Anuj founded this new venture forum when he was surprised to find that there was no established mechanism for people with MIT affiliation to discuss issues of entrepreneurship in the software industry. He built the organization from scratch and turned it into a regular series of lectures, panels and gatherings of CEOs, VCs, technology visionaries and successful entrepreneurs. It is dedicated to presenting trends, opportunities, challenges and innovative business practices related to new ventures. This program, more than anything else, made Anuj so well regarded around Silicon Valley. As Chair, Anuj led this forum for several years until 2005 when he left the Bay Area to get his MBA. He organized events every couple of months and tried to bring together people across the spectrum of the software industry so that they could network and build new insights about their respective businesses. Thanks to his efforts, this lecture and discussion series is still going strong today. Click here to learn more about the Software Entrepreneurship Series. Part II will include some examples of events Anuj orchestrated as well as the feedback we have received regarding his efforts. Neal and Anuj at home in Saline, Michigan. Fall 1980. They were pretty much inseparable growing up. "Scholarships to Honor Influential Wharton Student"
Yesterday, the Philadelphia Business Journal, part of the national network of 41 metropolitan business newspapers, published an article about Anuj's contributions to Wharton and the scholarships established to continue his legacy. We are heartened to see that it has become one of the "most viewed" stories on the journal's website over the last two days. It was also picked up on Yahoo! and MSN. Click below to see.